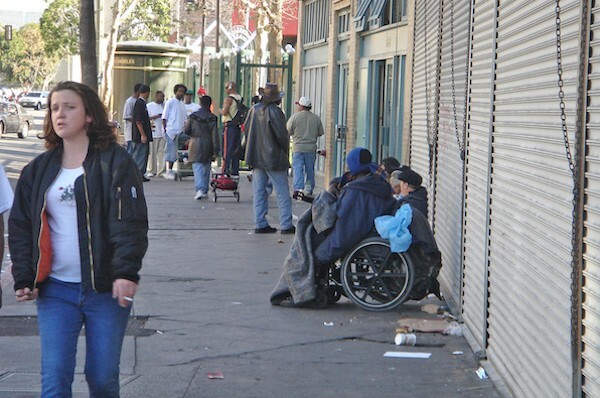 Those reasons—economic anxiety, budget surpluses, tax schemes, housing prices, prison reform, health care expansion, urban wealth, and political opportunism have combined to create today’s “homeless moment” in California. For decades, combating homelessness has been a civic obsession in the San Francisco Bay Area, with its long tradition of progressive politics and generous homeless services. Now that homeless hubbub has spread statewide. To the surprise of many at the State Capitol, a $2 billion bond to pay for housing for the mentally ill homeless—previously a backburner issue in tax-and-education-obsessed Sacramento—became a central focus of this month’s budget negotiations. And around the state, local law enforcement officials have stirred the pot by claiming that recent measures to reduce the California prison population have exacerbated the homeless problem. In Los Angeles, which has the nation’s second largest homeless population according to federal figures, homelessness has become the dominant political debate. Mayor Eric Garcetti has talked big about addressing the problem—declaring an emergency, promising that no military veterans will be living on the street—and now faces criticism for weak follow-up. L.A.’s city and county governments are now ensnared in huge debates about how to pay for additional public housing. A similar pattern—of big plans to end homelessness followed by conflict about how to do it—has emerged in cities from Redding to Riverside. In San Diego, with America’s fourth largest homeless population, a leading city councilman called for ending all homelessness by the end of this year. (He’s since backed off). In Orange County, there have been calls for a “homeless czar” to speed up the building of shelters and housing. In Fresno, Mayor Ashley Swearengin just held a press conference at the city’s baseball stadium to tout a plan to end homelessness in the next three years. In Sacramento, homelessness was a leading issue in the just-concluded mayoral election, with the victor pledging to build more housing for the homeless. Given all this drama, you might expect that the number of homeless people is rapidly rising. To the contrary, homeless counts (the accuracy of which is another big debate) show relatively flat or even declining homeless populations in most of these cities. So why the sudden urgency? The short answer: the homeless are now more visible to the rich people who drive civic conversation. Fancy restaurants and new high-end housing have brought wealthy folks into urban neighborhoods and old industrial areas that once were havens for the homeless. Downtown L.A., home to a large population of unsheltered homeless for decades, has rapidly been transformed from one of the most affordable to one of the most expensive places to live in the city. At the same time, anxiety about housing has never run deeper. The housing crisis of the previous decade cost many Californians their homes. California’s total failure to build housing—we’ve produced just one new unit for every eight new Californians in this decade—has led to sky-high prices. Many Californians are forced to spend more than half of their incomes on housing, and the prospect of sleeping on the street no longer seems so unlikely. Politicians, who read polls showing this growing fear, have seized on the opening. Homelessness has become an almost perfect issue for politicians. Expectations of success are low (homelessness is persistent) so any progress can be spun as heroic. Few homeless people vote, so democratic accountability is close to nothing. And the issue doesn’t have a strong partisan profile, so there is room for political horse-trading and risk-taking. Downtown Los Angeles’ Skid Row. Such self-criticism is easier for politicians when money is on the way. The federal government has stepped up funding for housing the homeless—especially for veterans. The state is running a surplus, and a state fund for mental health services, funded by the Proposition 63 tax on millionaires, is so full of extra dollars that even Gov. Brown, a notorious tightwad, agreed to borrow $2 billion from it to fund housing and other services for the homeless. He and the legislature also threw another $400 million in affordable housing dollars into the budget. In some places, the notion of a homelessness emergency is seen as a justification for a money grab. L.A. County supervisors want the state—which famously limits local taxation—to permit them to impose their own millionaire’s tax to pay for more homeless programs. That money, of course, could free up other funds for other purposes—which is all the more reason to decree a homelessness emergency. To be fair, much of this money will be spent on a strategy that has shown some success—providing permanent supportive housing for the homeless. This housing-oriented approach is a welcome departure from decades of efforts to fix the ills of the homeless—be they substance abuse or trauma or mental illness—before getting them housing. But the focus on housing is narrow for a problem this complex. And today’s windfall for homeless services is unlikely, in California’s volatile budget system, to last. 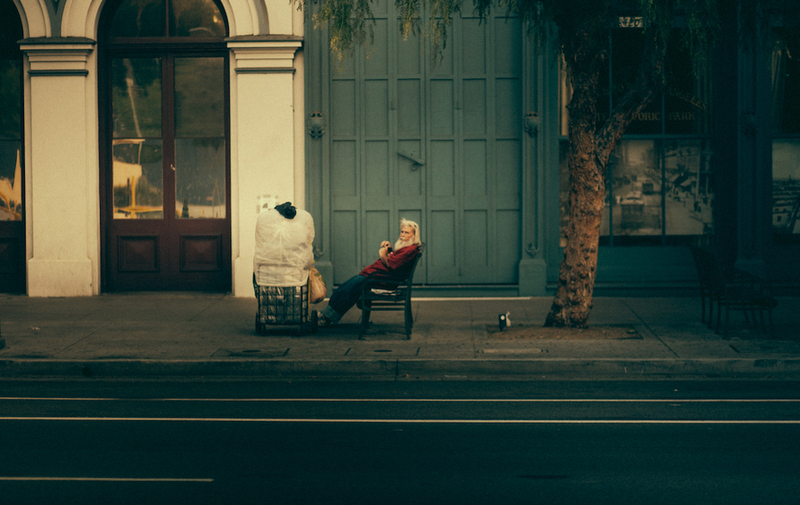 Even if it did, the disparate nature of the funding—a bundle of incentives and grants—isn’t efficient enough to create the capacity to cover the fluid and shifting homeless populations in California cities. In his acclaimed new book, Evicted, Harvard professor Matthew Desmond argues that ending homelessness would require greater ambition than anything on the table in California, or anywhere else in the U.S. He advocates “universal housing” as a clear right, like the well-established right to public education. Under Desmond’s proposal, the government would issue housing vouchers to families below a certain income threshold so that they pay no more than 30 percent of their income on housing. The vouchers could be used to live anywhere they wanted—just as families use food stamps to buy groceries almost anywhere. Such rental assistance is common in other developed countries like Britain and the Netherlands, which don’t suffer from American-style homelessness. In the U.S., universal housing via vouchers would cost $60 billion, Desmond estimates—real money, but a mere fraction of the hundreds of billions spent subsidizing the housing of wealthier people via the mortgage-interest tax deduction. Universal housing wouldn’t have much chance of passage in Washington. But universal housing is just the sort of idea that California should try—if this homeless moment is really about ending homelessness. Primary Editor: Andrés Marinez. Secondary Editor: Sara Catania. *Lead photo courtesy of David Nitzsche/Flickr. Interior photo courtesy of IK's World Trip/Flickr.